Perry S. Chen is a high school senior at Canyon Crest Academy whose love of drawing, storytelling, and filmmaking led him on a path of a child film critic, later a young animator and director. At age ten, he animated the 2011 award-winning, Oscar-qualifying animated short Ingrid Pitt: Beyond the Forest. His animation directorial debut in honor of his late father, Changyou’s Journey, won multiple national & film festival top awards, including National YoungArts Foundation Cinematic Arts Finalist Award, Scholastic Art and Writing National Gold Medal & New York Life Foundation Award, and U.S. Presidential Scholar in the Arts Semifinalist. 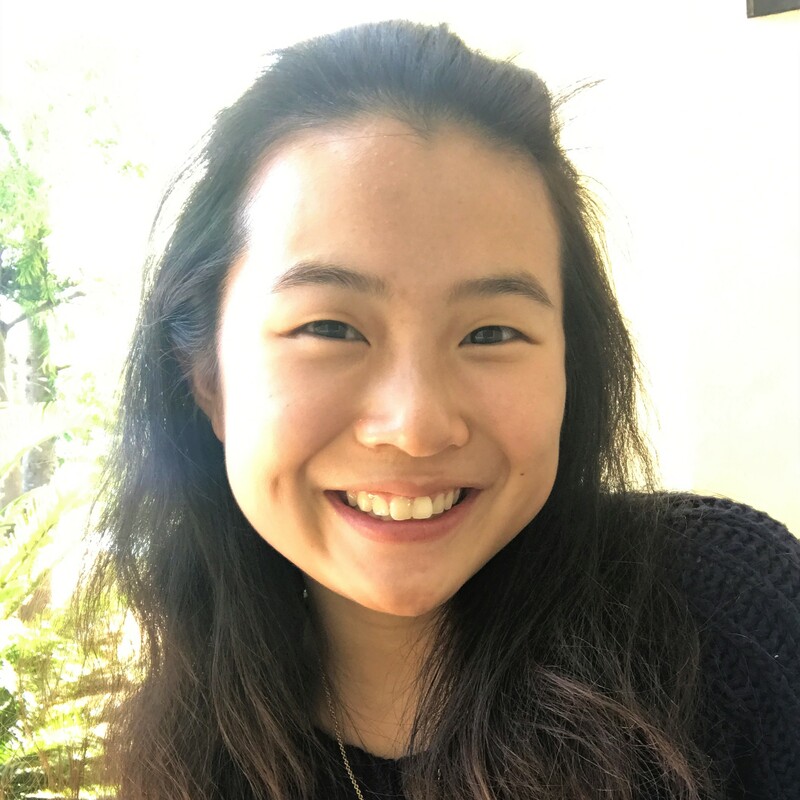 Angela Liu, a junior at Torrey Pines High School, is an active student leader who is passionate about serving her community. As the Lab Intern at the San Diego Coastkeeper, Angela tests water from watersheds and publishes data on the water quality online so San Diegans can see how clean their water is. She is the president of her school’s branch of the Youth Care Club, the Student Assistant Coordinator for her elementary school’s Science Olympiad team, and one of the Chairs of TPHS’ Best Buddies Club, which promotes inclusion for students with disabilities. As Editor in Chief of her school’s newspaper, the Falconer, and Assistant Editor in Chief of JOURNYS, a student-produced science magazine, Angela is passionate about writing and informing the public. Annie Lu is a junior at CCA who heads her school’s community service club, the Youth Care Club. She is interested in the issue of education inequality in rural regions, having organized fundraisers to sponsor the education of impoverished children and spearheaded a teaching mission last summer. An avid reader and writer particularly fascinated by history and anthropology, she would like to study public policy in the future. 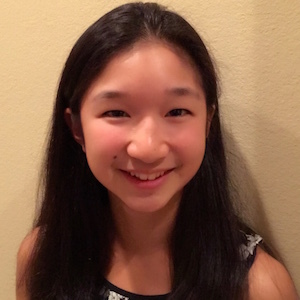 She is also a varsity tennis player and accomplished competitive pianist. 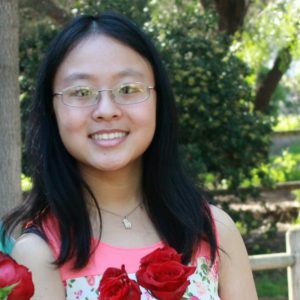 Karen Ting, a Sophomore in Westview High School, has learned the importance of trust, faith, and communication through her many volunteer services with San Diego Zoo Corps, Tzu Shao, Girl Scouts, Women in Computer Science and Peer Counseling. Karen talked about how she was rewarded with confidence and friendship after joining Tzu Shao, a volunteering organization. She found that it was tremendously satisfying when performing in Taiwan when finding her audience touched and crying at the end of the show. Karen is eager to help people directly and locally; and has already done so through sharing her stories of how to navigate high school life through peer counseling and other community services. Jacqueline Tong, a Junior in Westview High, is full of resilience and quiet energy. She is steadfast on her Christian faith and values community over competition. Jacqueline has participated in many community services, spending countless hours in volunteering for her church by serving as an interpreter, teaching Sunday school, coordinating youth music worship and organizing mission trips to China. When she had to go through a brain surgery in early 2017, it seemed that life is throwing her a curveball. Yet, she did not give up. Although she couldn’t attend the China Mission that she organized for that summer, she still raised more than two thousand dollars for the trip. She also chose to participate in a speech competition to inspire the others. Her article on what she has learned through sickness has aroused international responses. Jacqueline also founded Westview Young Leaders in Healthcare and Jacky Letters, a calligraphy charity organization, to engage more youths in medicine and to raise money for underprivileged children in the world. Ethan Wang, a junior at Canyon Crest Academy, grew up immersed in the vitality of Taiwanese culture. In high school, from developing a strong attachment to his heritage he established the Taiwanese/Chinese Student Association. With a mission to promote cultural appreciation throughout the community, he led his organization and arranged fundraisers, an acupuncture demonstration, and a lion dance performance. Ethan is also involved in Tzu Chi Youth, participating in recycling services, food bank services, and performing piano for the sick and elderly. Dedicating 10 years to practicing piano, he has been invited to debut at Carnegie Hall this December. Stephen Young is a student at the Canyon Crest Academy. 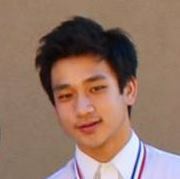 He is on CCA’s Champion Varsity Academic Team. He loves funny jokes, politics, poems, coffee, chess, and cats. He enjoys watching ER and Grey’s Anatomy, playing cello and tennis since both have string waves. He is the National President of Alliance of Youth Leaders in the United States (AYLUS), the Principal Cellist of the San Diego Youth Symphony and the International Youth Symphony. He is passionate about helping brain injury patients and is the winner of 4 PVSA Gold Medals. Emily Zhang is a junior at Torrey Pines High School. She is passionate, warm-hearted, motivated, and excels both in her academic studies and community service. Among many volunteering activities she has participated in, the most notable one is her volunteering at the Carmel Valley Library to inspire youths to learn science. She built the team and developed an exciting STEM educational program at the library. She is also a dedicated coordinator and editor of a science journal, JOURNYS, at her school. In her free time, Emily loves music, reading, gardening, and traveling. MSRA was first established in early 2015 by Mayor Kevin Faulconer and eight San Diego Asian Pacific Islander American Organizations, to recognize local Asian American high school students for their hard work, academic achievements and community services. By recognizing these students, we hope to promote and develop next generation civic leaders who will engage and represent the Chinese American community. The mayor of San Diego will present the award to recipients at San Diego City Council. To ensure complete impartiality in selection of recipients and to maintain a high level of professionalism, the Mayoral Award Review Committee consist of respected local community leaders as well as executives from local industries. Two rounds of selection are put in place this year. The first round of selection is based on the student’s submitted application materials with 10 judges of leaders from local schools, community organizations. The second round of selection involves an interview for which the selected candidates are expecting to give a short presentation, followed by questions of the 5 judges of recognized community activists. The final decision is based on the results from the two rounds of selections. San Diego Asian Americans for Equality（SDAAFE) is a nonpartisan and nonprofit organization dedicated to empowering Asian Americans to win equal opportunity and justice through active participation in civic and public affairs in San Diego County. It is the only nonpartisan Asian American Political Action Committee in San Diego County with over 1700 subscribers. SDAAFE is among the eight founding member organizations of MSRA award.